This broadly applicable book will be helpful for achieving both personal and business goals. The Unofficial Guide to Achieving Your Goals by Onyx Jones features a seven-step plan for successful goal setting. Setting goals is a common topic in self-help and business books, but it is often integrated as part of a larger discussion about goals, objectives, self-discipline, and teamwork. The Unofficial Guide to Achieving Your Goals is different because of its laser focus on the “building blocks” one can use to establish and follow through on goals. Jones, an entrepreneur, identifies and describes seven specific steps, each of which builds upon the others. She indicates how to get started and includes helpful “assignments” to make implementation easier. Interestingly, the first two steps, “Select the right goals partner” and “Improve your spiritual life,” are probably not typical of most goal-setting plans. Jones believes the steps she outlines in her book “will be most effective if you work with a goals partner.” This notion—to share one’s goals with someone else—is a novel, productive way to encourage individuals to be accountable for personal goals as well as to get objective feedback from trusted advisors. The second step is unusual as well; Jones asks the reader to “get to a place where you have constant communication with your higher power.” The author believes this will put each person in touch with their “life’s purpose,” though it is likely that not everyone will feel comfortable with this step. The next five steps, including “Improve Your Talents and Skills” and “Make Your Dreams a Reality,” are more traditional. 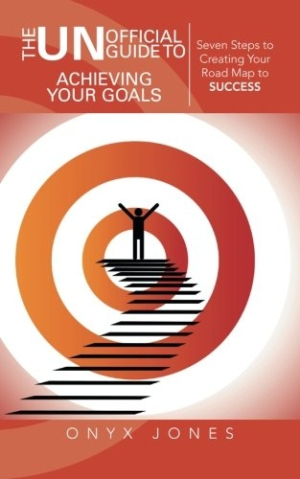 Perhaps one of the key steps the author includes is “Set Financial Goals.” Making the point that turning goals into reality involves the reality of one’s financial situation, Jones offers examples of how to relate a list of goals to financial goals and provides guidance for creating a basic budget. The book is nicely organized. The manner in which the author moves from one step to the next demonstrates a logical progression that puts needed structure around achieving goals. At the beginning of each step, Jones uses a good teaching technique: she reinforces all of the previous steps, employing bulleted text to remind the reader of what came before. The “assignments” at the end of each step are well defined and often include specific questions that need to be answered. The book is well written, short, and easy to comprehend, and illustrations are utilized to break up the text. A brief author’s biography is included, though a list of additional resources would have been helpful. The Unofficial Guide to Achieving Your Goals is broadly applicable; it could be of value to achieving both personal and business goals. Those who are looking for a simple, step-by-step plan for establishing and meeting goals should find this book to be an ideal resource.